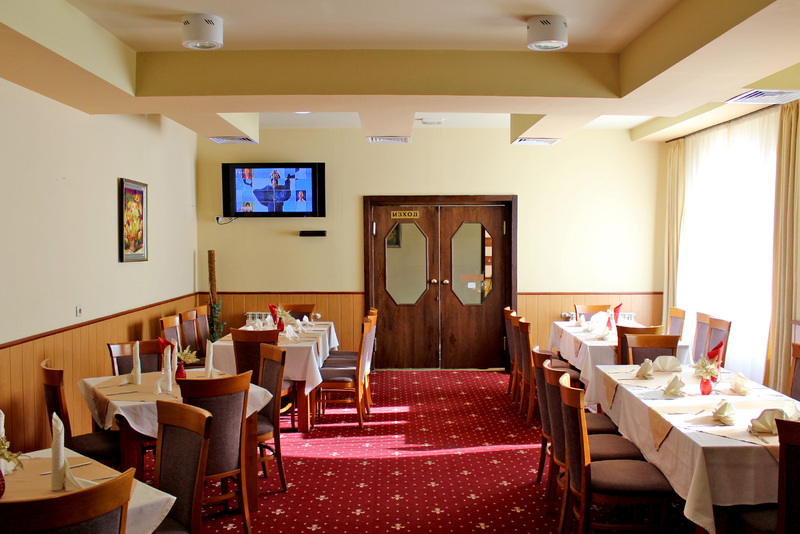 The restaurant of hotel complex Predel has 80 seats, which makes it suitable for organizing every festive occasion – a family celebration, anniversaries, cocktail parties, corporate parties, business meetings, etc. The staff of the restaurant will welcome you warmly, with a smile, and it will show you that you are our dear guests. Of course, we will treat you with delicious dishes from traditional Bulgarian cuisine and specialties from the region of Razlog, which you can combine with a mellow wine from our selected wine list.